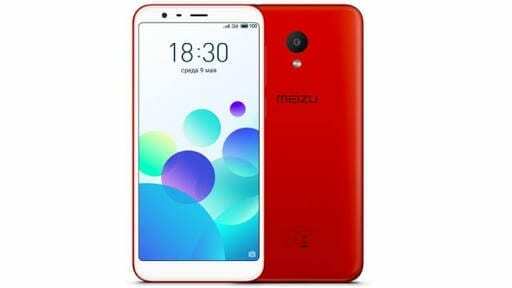 Another addition to the budget M-series has been made by Meizu and this is the Meizu M8c which is just another low priced smartphone with modest specs. The design is also of low grade as it only comes with a plastic build which is one of the setbacks to cut price. There is the trendy 18:9 aspect ratio, face unlock among other nice features which gives you a peak into the premium experience. As for the rest of the features on the smartphone you can learn more about it by reading further. Design-wise, the smartphone comes with a normal modern day smartphone outlook but nothing out of the ordinary. The material of choice in the build of the smartphone speaks volume on how budget the smartphone is as the material is of poly carbonate origin. 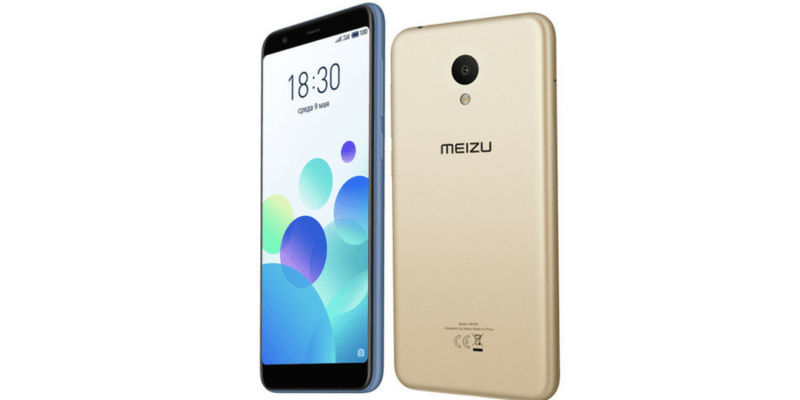 It also has a characteristic Meizu smartphone appearance with the reduced bezel look and plain rear panel except for the camera, flash and Meicu inscription, all arranged vertically in that order. Visuals is fashioned in the way most of the phones produced lately are, with not much fancy for bezels and more utilization of the front for display. Shipping with an average screen size of 5.45-inch, the Meizu M8c is good for those that prefer a smaller screen. Resolution is set at 1440 x 720 pixels with a 295 ppi pixels density. The Meizu M8c is equipped with a mediocre battery which is just about a till dawn deal in terms of time of usage. Supplied by just 3, 070mAh capacity battery, the Meizu is among one of those smartphones you will have to plug in at the end of the day. Lacking in both the fast charge and premium USB Type-C but instead, you’ve got a MicroUSB port and just normal charging timeline. Conventionally, the budget smartphones do not really boast of much in terms of picture snapping prowess and in this case, there is no difference with just a single rear/front camera. The 8MP front camera does the honour of taking selfies on the smartphone while the 13MP camera handles capturing at the rear side. For starters just having a Qualcomm chipset is not enough to do the work. In this regard, the Quad-core Qualcomm MSM8917 Snapdragon 425 is not much of a force to reckon with performance-wise featured alongside an Adreno 308 GPU. However, basic tasks should run smoothly on the smartphone with not much of a glitch not unless the memory is used up. In continuation with the hardware features, there is also a meagre 2GB RAM for multitasking and just 16GB or a higher 32GB storage space built–in. If this is not enough, expansion can be made using the memory card slot to a heavy 128GB. On the OS stage, the smartphone is not up to date with Android 7.0 Nougat running. It on sale at various online stores and retail outlets in partnered stores for about 60, 000 Naira depending on Your location and the deal you are presented.